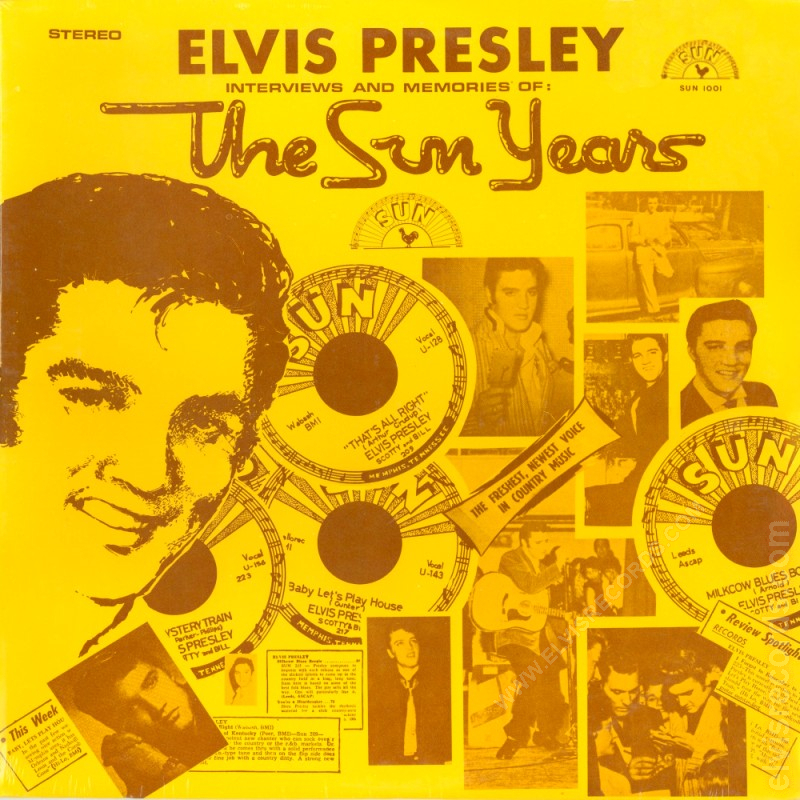 Contains Parts From Actual Recording Sessions With The Voice Of Sam Phillips, The Voice Of Elvis Presley, Plus Excerpts Of Elvis Presley'S Sun Recordings, Issued And Unissued. Contains Interviews By Jay Thompson At Wichita Falls, Texas, Charlie Walker At San Antonio, Texas, Plus Various Other Rare Elvis Presley Talking Intros On Stage And Television. Cover Back: Light yellow. Brown images and text. Copyright bottom center. Disc: Yellow label. 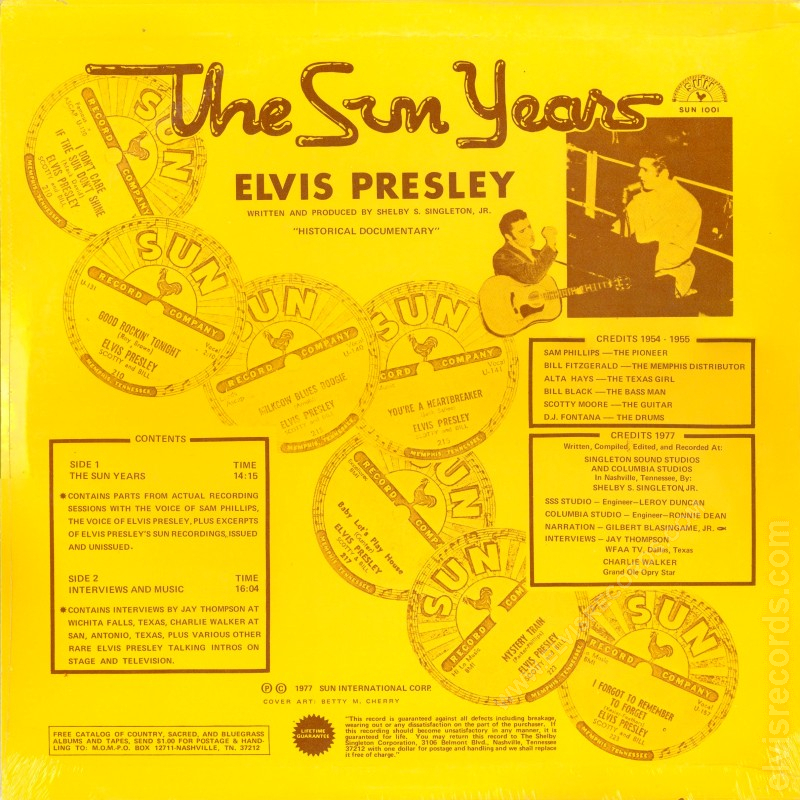 Sun label with Memphis, Tennessee on bottom. Disc: Yellow label. 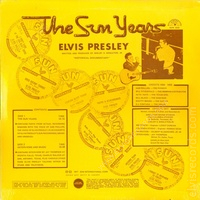 Sun label with Nashville, U.S.A. on bottom. Cover Front: Yellow. Brown images and text. Stereo upper left corner. Sun logo and catalog number upper right corner. Cover Back: Yellow. Brown images and text. Copyright bottom center.